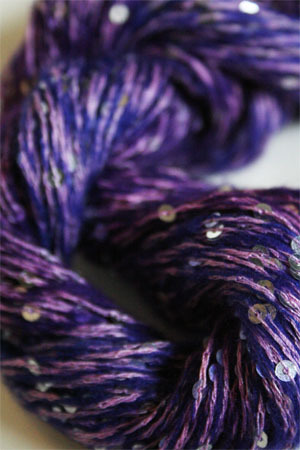 Fabulous Purply-Pink color way will turn your knitting virtuoso. Featuring cotton, merino cashmere - and topping it off with fabulous sparkly sequins, there is no end to the drama. Free download for the one skein Diamond Lace Shawl with the purchase of the beautiful Bedazzled!